Are You Looking for Insurance in Cincinnati? Call our conveniently located independent insurance agency in Cincinnati @ 513-662-7000 or click here to receive an online insurance quote in Cincinnati. In our previous article we discussed that there were more than 300,000 documented complaints filed against insurance companies last year. The top two reasons why consumers file complaints against insurance companies is due to claim denials and settlement offers that were less than expected by policyholders. How Can You Avoid a Claim Denial On Your Cincinnati Insurance Policy? As was mentioned in the previous article we have developed an exclusive and unique educational service for Cincinnati policyholders. This service is not available with any insurance agency in the area that we are aware of. This service is based on a book that I will be publishing later this year that will be available in your local bookstores and through Amazon. If you missed this article, click here to read it now. The Pathway Protection Letter™ is a completely unique educational newsletter that discusses the specific reasons why insurance companies deny claims. More importantly this newsletter gives you common sense coverage scenarios written in plain English that help Cincinnati policyholders understand activities that they may be engaged in that could get your next claim denied. Why is this information so valuable and extraordinary? Primarily it can help you avoid claim denials. There are literally hundreds of different scenarios that you could find yourself in that would result in a claim denial. If your insurance company refuses to pay, that means you will pay! If a claim is denied your first reaction might be to file a lawsuit against the insurance company. Will you be successful? Possibly not. A catastrophic claim not paid by your insurance company in Cincinnati could destroy you and your family financially. Quotes for Insurance in Cincinnati available 24 Hours Per Day! We have available an online rating system that will provide quotes from top companies offering insurance in Cincinnati. 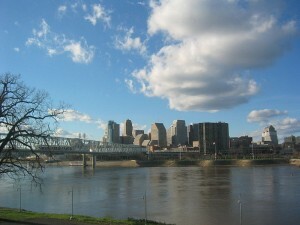 For your instant rate quote click: Insurance in Cincinnati. We are the best broker offering insurance in Cincinnati so why not talk to us today to discuss your needs? There is much more to insurance than merely the price you pay for it. Don’t waste your time allowing Insurance agents or companies, who only quote a price, but give no advice™ to care for your insurance needs.